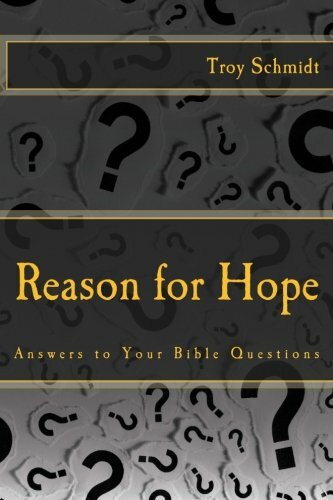 Reason For Hope: Aren't some of the Bible laws antiquated and irrelevant to society today? Aren't some of the Bible laws antiquated and irrelevant to society today? 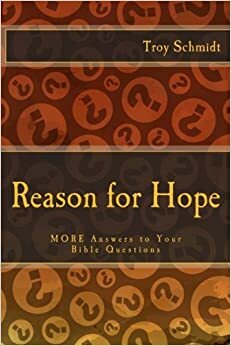 Understanding the laws of the Bible, found mostly in the first five books of the Bible ("The Law" as it’s called) require you to understand the context of those laws before you deem them antiquated and irrelevant. God promised Abraham that he would make a great nation through him. He brought Abraham’s ancestors out of slavery and into the Promised land through Moses and Joshua in the books of Exodus to Joshua. During that time, God explained what he wanted to do. God wanted them to be a unique nation. He called them “holy” which means separate. He instituted different rules about separation – not mixing fabrics, not mating different animals, not mixing foods or crops – to remind them about separation. These laws were only for Israel during their time. So as a holy nation, Israel would need to respond to sin differently than the other nations did. He wanted sin eradicated and tough measures would be taken for that to happen. They would be an example for other nations. Sin—such as inappropriate sexual encounters and murder—would not be tolerated so stoning was instituted. This kind of justice was for Israel only to make them a holy nation. When Jesus showed up, he saw how unjust these measures had become. Those ancient laws were set up to make the nation holy because a Holy One would be coming from that nation – Jesus. Jesus fulfilled what those laws were trying to do – make the followers of God separate and unique from all the people groups around them. The 10 Commandments outline the worship of God in commandments 1 through 4. The book of Leviticus expounds on the sacrifices and priests, while the book of Numbers details the feasts and holidays. God needed to make sure that Israel remained obedient, following God and only God closely and purely. No outside influence or deviation would be tolerated. When Jesus showed up he saw how far the Pharisees had taken these measures, forgetting compassion and mercy. He healed on the Sabbath to show them the Sabbath was for their benefit, not to be used as a weapon to hurt people with rules. All of these temple and worship practices were set up to pave the way, once again, for Jesus Christ. Once he arrived, he fulfilled what those practices were set up to do and made them obsolete. We don’t have to sacrifice oxen and lamb because Jesus fulfilled all those requirements. In fact, he predicted the destruction of the temple in 70 AD and the official end of the Jewish temple practices. Then there are all the other laws, those that are applicable no matter where you are or what century you live in. Romans 2:14-15 call them the laws that are written on all of our hearts, whether we were born in Israel or in America today (Jew or non-Jew). We all know they are wrong. A good measure to see if a law is an eternal law is to see if the law appears in both the Old AND the New Testament. If it’s wrong in both books, then you can be pretty sure it’s an eternal law. But, just because we don't take the same measures to stone adulterers, doesn't mean adultery is antiquated. Adultery is an eternal law, however the way Israel handled it was unique to their society. So for someone living in America today, what Biblical laws should we follow? Israel laws? No. We did not live in Israel 3,000 years ago. Israel fulfilled its duty to pave the way for Jesus Christ. America has not been called by God to be a holy nation as He called Israel through Abraham and Moses. We do not stone adulterers or Sabbath breakers. Worship laws? No. We have a new priest (Jesus) and a new temple (our hearts). Again, fulfilled. Eternal laws? Yes. These are the laws of God’s heart and breaking them would be violating principles of his character. They are always wrong, always have been and always will be. These are never antiquated or irrelevant. We have to be careful not to call all of the rules antiquated just because some are. Someone who says we don't stone prostitutes today so homosexuality must be okay is missing the reasons and contexts of God's laws.